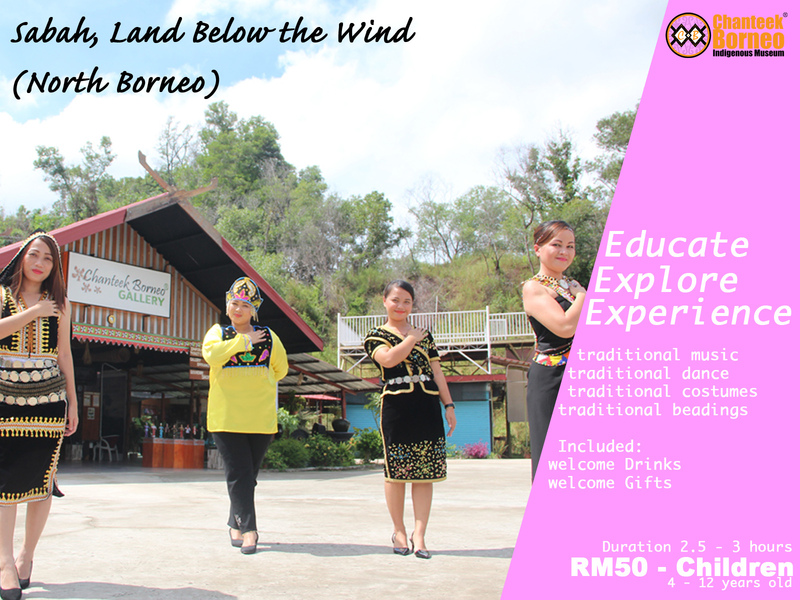 Educate, explore and experience Sabah's culture at Chanteek Borneo Indigenous Museum. Visitor would learn and experience traditional music, local dance, traditional costumes and make their own accessories using small beads. This tour package include Welcome Drinks and Welcome Gifts; take about 2 1/2 - 3 hours.